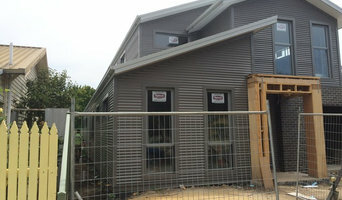 Family owned and operated business conducting work Melbourne wide. We aim to please and conduct ourselves with the professionalism you require to complete any task at hand. 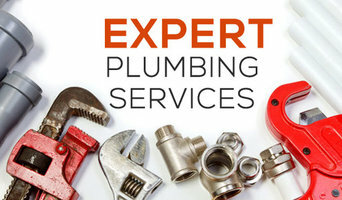 No job is too big or too small with a wide range of experience in the field completing a number of different aspects of plumbing in my 12 year career as a licensed plumber so we can tackle any job. We provide all areas of domestic and commercial plumbing including new constructions, bathroom, kitchen and laundry renovations. If you have a cooling system in your home. Then, it is necessary for you to maintain your cooling system with professional cooling repair services. Hire No.1 company - My Choice Plumbers for all cooling system problems. This is where We come to your doorstep to give the best cooling repair services. We give reliable and quick evaporative cooling repair services in Melbourne. We also offer Evaporative Cooling Melbourne, Evaporative Cooling Repair Service Melbourne, and Evaporative Cooling System in Melbourne. Evaporative cooling is one of the common techniques of cooling in Melbourne to defeat the summer heat. This type of cooling is common as along with effective cooling. It’s a continuous flow of fresh air rather than rotating the same dried air within the room. So, call us 1300903389 for the best cooling repair services and stay comfortable in summer too. Mbm Plumbing are a family owned and operated plumbing company. We provide all areas of domestic and commercial plumbing including new construstions and bathroom, kitchen and laundry renovations. We specialise in property and facility plumbing maintenance. We provide afterhours emergency call out service. Choose Plumbers Electricians for Hydronic Heating Ringwood. We are capable to give best services in Ringwood. 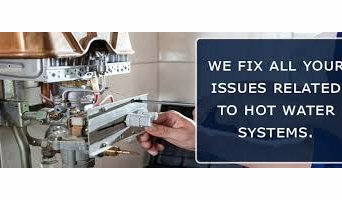 Our electricians are offering Hydronic Heating system Ringwood, hydronic heating services, Hydronic system installation, Best Hydronic Heating system Ringwood, Hydronic system repairs and hydronic system servicing. We have experience of more than two decades in our profession. We have been serving our customers with our professional services. We are available 24 hours in 7 days to provide our high-grade services. You can call us at any time. We will be at your place with the best electricians. So, call us +61 1300 438 688 now for free quotes. At KM Heating And Cooling Plumbers, we provide the exceptional maintaining and repairing of your split systems. 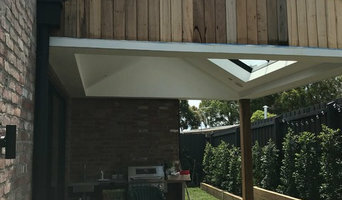 Our specialists have years of expertise in Split System Melbourne, Reliable Split System Repair Service Melbourne, Split System Service Melbourne, split system repair services in Melbourne and more. The yearly maintenance of cooling systems can keep you aside from the dilapidations, most people don’t trouble about it. Call us instantly on 1300935588 and experience the best services for split systems repair in Melbourne. Or you can communicate with us online too. "Welcome to KM Air Conditioning Melbourne. Our professional technicians provide you with flawless services like Air Conditioning Melbourne, Room Air Conditioners, Residential Air Conditioning Melbourne, Air Conditioning Repairs Melbourne and so much more. You will additionally get air conditioner installation and ducted heating services in Melbourne. Our experts are extremely skilled and comprehend the best methods to deal with the various kind of air conditioners. All you need to do is call 130093 5588 for the same day air conditioning servicing or you can reach us online too. We have a solution to all the intricacies associated to Evaporative cooling system in Melbourne. Moreover, we have modern facilities, accessories and superfluous elements prepared with us. By hiring us you will get Evaporative Cooling Melbourne, evaporative cooling repair services in Melbourne, Best Evaporative Cooling Repair Services and so much more at a really affordable price. We deliver same day service too. We are the best in providing Evaporative Cooling Repair service Melbourne. We are the greatest in rendering Evaporative Cooling Repair service Melbourne. We at, My Choice Plumbers provide the most reliable cooling system repair services in Melbourne. The refrigerated cooling system performs a vital role in your home or apartment. However, just like other electronic devices, Cooling system needs proper maintenance and repair service properly. It is required to keep it, in good shape and to extend its life. Hire My Choice Plumbers for keeping your cooling system in good condition. We also provide Refrigerated Cooling System Repair Service Melbourne, Refrigerated Cooling Melbourne, Professional Refrigerated Cooling System Repair Service. Our workers have required experience and best tools to give you the best services at affordable price. We also provide the same day of services. Just call us 1300903389 and get best cooling system services at reasonable cost. Looking for Split System Melbourne? Choose My Choice Plumbers for best and reliable Split System Repair Service Melbourne. We are serving our customers since the split system air conditioning plays an essential role in cooling the house. My Choice Plumbers is a leading split system repair services provider in Melbourne. We provide a range of air conditioning solutions including Split System Melbourne, Split System Service Melbourne, Split system repair and installation, Evaporative cooling unit repair and installation, air conditioners repair and Split system repair services in Melbourne. We possess many years of experience. You can call us 1300903389 at any time to get the best Split System services. How would it feel when your refrigerated cooling system stop working? We can understand it is hard to believe how terrible the reaction would be. But you don't have to worry about that anymore. If you have a faulty refrigerated cooling system and are searching for refrigerated cooling system repair services in Melbourne then come to 24 Hours Plumbing. We are a trained team of reliable refrigerated cooling system repair professionals.We accommodate a wide array of services including Refrigerated Cooling Melbourne. Call us 1300998126 for the same day booking service. We will help you the best way possible. Sometimes,hot weather conditions can be very uncomfortable. So, make it comfortable by controlling temperature, reducing the humidity and even filtering the air in some circumstances. At, 24 Hours Plumbing we provide best services related to the refrigerated cooling system. Our company has reputed name when it comes to refrigerated cooling system repair service in Melbourne. We have the best solutions to all kinds of cooling system machines. We provide a range of refrigerated cooling system repair services in Melbourne like faulty refrigerated cooling system services, cleaning the filter at regular intervals. Our reliable refrigerated cooling system repair professionals are also best. You should definitely try it. You can contact us online or call at 1300998126. With a lot of plumbing work done behind walls and underneath floors, some Endeavour Hills, Victoria plumbers will also repair or replace tile, stonework or other surfaces, if need be. 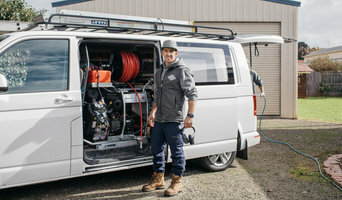 You’ll find most Endeavour Hills, Victoria plumbers provide a variety of services, including maintenance and construction, covering gas, solar and electric. However, some will have areas of expertise. A 24-hour plumber, for instance, will be well versed in residential emergencies and repairs, while others may be more experienced in renovations and new homes, or the installation of septic systems, rainwater tanks, pumps and other special water and drainage systems. Find Endeavour Hills, Victoria plumbers on Houzz. A leaking toilet or blocked drain can do more than just water damage, so never wait too long to call a local plumber. Start your search on Houzz by browsing the Professionals section of the site. If you're undergoing a renovation or home construction, you may also look through Photos to find local plumbers who have worked on projects similar to yours. If you’re planning a large-scale project, find other professionals on Houzz who can help get the job done. Here are some related professionals and vendors to complement the work of plumbers: Building Project Managers, Septic Tanks & Sewage Systems, Kitchen & Bathroom Designers, Kitchen & Bath Renovators.